The majority of the indigenous peoples that inhabited what is known now as Liberia is believed to have migrated from the north and east between the 12th - 16th centuries AD. In the 16th century the territory of West Africa was invaded by Mane Malian soldiers who inhabited the area of what is now the present-day Ivory Coast and Ghana. The Mane Malian conquered new territories and peoples living there. The interesting fact is that the supreme chief lived in the Grand Cape Mount area. Now let's trace the migration routes of the peoples that used to live at that area from one generation to the other. At first the Vai were part of the Mali Empire but when it collapsed in the 14th century they had to migrate. The Dey, Cola and Vai finally migrated to the coastal area known today as Grand Cape Mount County in Liberia. There were sixteen aboriginal peoples that lived on the territory of the present day Liberia and the Kru were one of them. 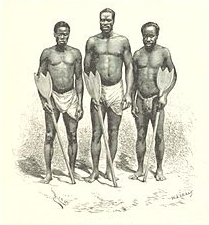 Inhabiting the interior and coastal areas of the country, the Kru were against the migration of the Vai. The Manes and Kru united their efforts to prevent the Vai move further, but the Vai didn't leave the Grand Cape Mount region and settles at the area, where Robertsport is currently located from the property. 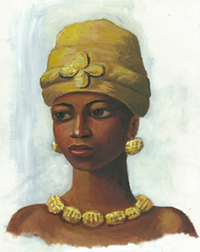 The Kru were active traders who sold their goods to the Europeans. Later they took an active part in human trafficking as well. Kru traders would arrange that they and their canoes should be taken onboard European ships to trade along the coastal areas of the present day Liberia. Then the Kru traders and their canoes would be put off the ships so that they could paddle back to their home. A number of Kru laborers left their homeland to work the fields and take part in construction of the Suez Canal in Egypt, the Panama Canal in Central America and other projects as paid laborers. The Grebo people also migrated to that area because of the Manes invasion. Portuguese seafarers discovered West Africa, the territory where Liberia is today, in 1461. As this area was rich in melegueta pepper, which was also called Grains of Paradise for its pungent seeds, it was named the Grain Coast. Even now Liberia is known as the Grain Coast. In 1602, the Dutch made an attempt to set a trading post at Grand Cape Mount, but failed to establish a permanent settlement and the post was destroyed. In 1663, the British set their trading posts along the Grain Coast. The area remained free of foreign settlements until 1821 when the African Americans arrived. But long before their arrival the area was inhabited by some indigenous tribes. With the time the native people mixed with the newcomers, and there were thirteen distinctly different and often competing tribes. Today the ethnic composition remains complex as well. As a result of intermarriage between the indigenous people and immigrants, it’s impossible to differentiate the real "Congo" and the "Native". The Liberian nation just like the people of the United States of America is considered the melting pot, which means that people of different ethnic composition live as one nation.